At the beginning of September Czech reinforcements will join the missions held by NATO in Afghanistan, where three soldiers of the 10th ACR Guard Company BAF from the 42nd Mechanized Battalion were killed on 5th August. More troops will also be sent to Iraq and Mali: 806 served abroad at the beginning of 2018, they will be strenghtened to 1081 this year and to 1191 in 2019. The ACR Task Force RSM - Kabul is active within the Resolute Support Mission (RSM) which begun on 1st January 2015, supported by the United Nations Security Council Resolution 2189. The commander of the Task Force directly commands the Czech units deployed at the Hamid Karzai International Airport in Kabul (HKIA) and administratively controls the rest of the Czech units serving elswhere in Afghanistan on RSM: the ACR Guard Company at Bagram Air Field (the 10th company currently, April – October 2018), and the Military Police unit KAMBA (the 3rd unit is about to be relieved) which protects and defends facilities and personnel of the Czech Embassy in Kabul. 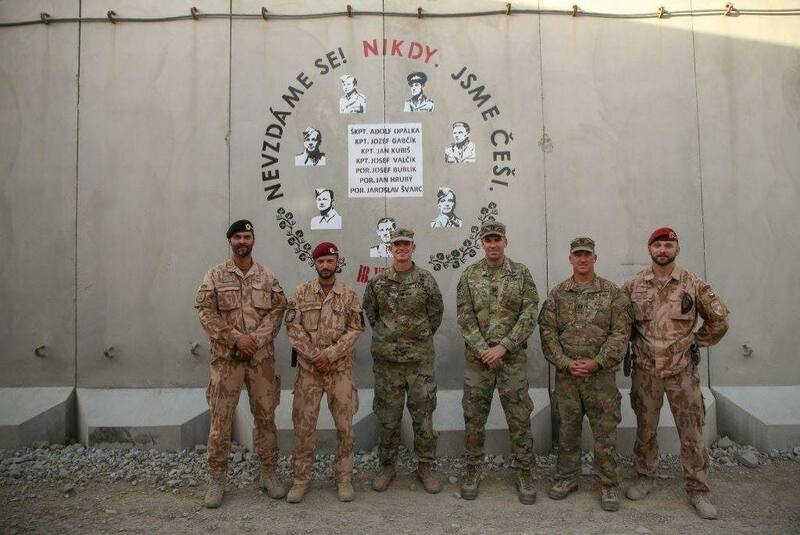 The best Czech(oslovak) Armed Forces' traditions honoured at the Bagram Air Base. "We are Czechs, we never surrender" was the answer given to the German military by the encircled Czechoslovak paratroopers who successfully eliminated SS general Reinhard Heydrich during the operation Anthropoid in 1942. The total number of Czech soldiers deployed in Afghanistan will soon rise from 250 to 390. In total there is more than 16,000 men currently active within the RSM (8,500 U.S., 1300 German, 950 Italian). Among the reinforcements there will be 42 soldiers of the 601st Special Forces Group. Their task will be to train a battalion (kandak) of Afghan Special Forces in Herat province, home to the 207th Corps of the Afghan National Army (composed of the 1st Brigade at Herat, 2nd Brigade at Farah, and elements at Shindand which include the corps‘ commando battalion). It will be the 5th deployment of the 601st SFG to Afghanistan. The group was active during the Operation Enduring Freedom in 2006, and again between 2008 and 2009, and was part of the Task Force ISAF SOF from 2011 to 2012. Since 2010 its members protect the Czech Embassy in Kabul. 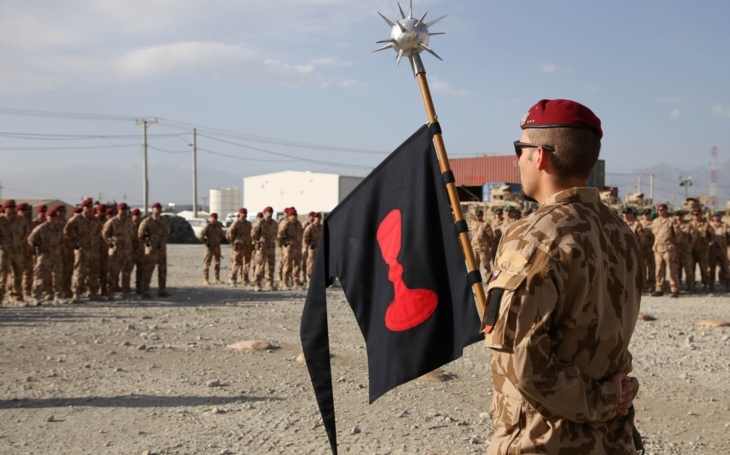 The mission will also be joined by 40 members of the Military Police who will train police elements in Logar province, where the Czech Provincial Reconstruction Team served within the ISAF operation from 2008 to 2013. More soldiers will also join the ACR Task Force RSM to protect the command and the 23rd AAT Unit - Air Adviser Team which trains Afghan airmen to pilot and maintain Mil Mi-17 helicopters. The ACR Guard Company at Bagram Air Field (which currently fields about 170 men) shold also be strenghtened. The mission of the company is to carry out security measures in the northern part of Bagram, Parwan Province, within joint operations with Americans and Afghan partners; which includes security patrols in the vicinty of the base – durich which losses occurred in 2014 and on 5th August. The goal is to deflect hostile activities against the allied base. The Air Advisory Team (AAT) in the Inherent Resolve operation in Iraq (currently the 5th team active till 31st December 2018) active at the Balad Air Force Base will be strenghtened together with the other Czech Army elements in Iraq (CBRN Training Team and MP Training Team) from the actual 65 soldiers to 110. The main task of the AAT are advisory and mentoring activities during operational training of Iraqi Air Force's air and ground personnel over flying and maintenance of L-159 ALCA aircraft which were supplied by the Czech Republic. There is nearly 50 Czech soldiers deployed in Mali within the EUTM and MINUSMA missions. Their number should rise up to 120 servicemen. The Czech soldiers are deployed to protect the EUTM Headquarters in Bamako, and they contribute to the training of Malian soldiers in cooperation with other nations participating in the mission.